Tuesday, March 27, 2018 4–7 p.m.
Snakes. Spiders. Sharks. The things you fear are the least of your worries! Death by Natural Causes will introduce patrons to the range of “animal, vegetable and mineral” dangers that lurk in their everyday lives. Through a collection of specimens, text and interactives, visitors can see what can cause death, either directly or indirectly, from the natural world. Poisonous, venomous and toxic are just a few of the terms that will be clarified, and things you interact with almost daily will be used as examples—mushrooms, snakes, spiders and even common foods! Visitors will travel through five general areas of rich graphics, compelling visuals and surprising specimens. Educators will receive one hour of CPE credit. Guests: $5.00; tickets may not be purchased in advance. Registration begins Tuesday, February 27 and ends Friday, March 23, 2018. Please complete the online formbelow to reserve your spot. For questions, contact educatorpreview@hmns.org. Preregistration is closed. Educators may register at the Shell Educators’ Preview beginning at 4 p.m. in the grand hall. Presented in 1892 on Easter morning to Empress Maria Fedorovna, the eighth Fabergé Egg was a gift from her husband Tsar Alexander III. The beautiful egg, known as the Diamond Trellis Egg, was kept at the Anichkov Palace until the revolution in 1917. This stunning jadeite egg with rose-cut diamonds contained a mechanical ivory elephant tucked inside. This egg and its surprise were separated. Perhaps one of the British royal cousins, a child of King George V and Queen Mary, ended up with the toy elephant in his pocket after a visit to a family holiday, as the elephant was found in the Queen’s collection in London. This Imperial Easter Egg will be exhibited with its original jeweled elephant until April 8. The reunion of the two pieces is made possible by a loan from the British Royal Family’s art collection, the Royal Collection Trust. It is the first time the pieces have been seen together in over 80 years. The things you fear the most are the least of your worries! “Death by Natural Causes” allows you to delve into those items most deleterious to your life and encounter beauty so deadly your heart may really stop. 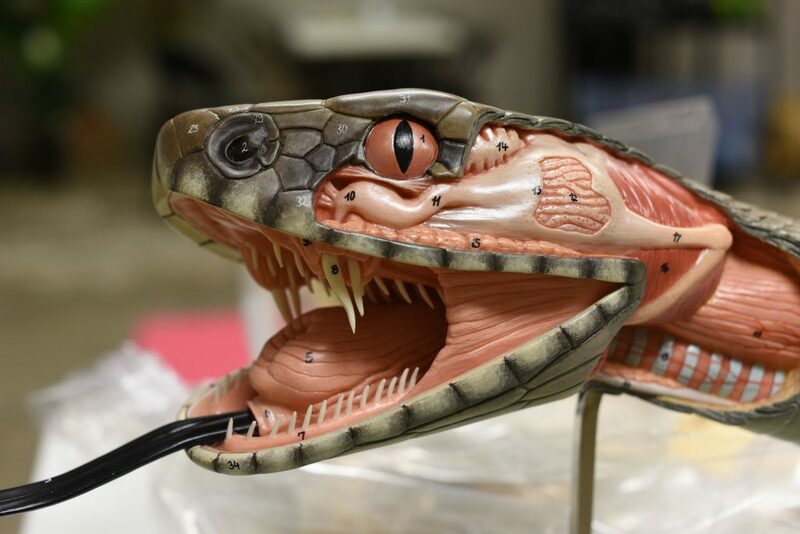 Go behind-the-scenes with master docents and encounter a variety of live and potentially deadly creatures, while learning the difference between venomous and poisonous. Continue on to study toxic elements and minerals where dosage often determines if they are helpful or harmful. Enjoy the Knights special exhibition in the evening when the museum is closed to the public. Your master docent will take you back to the very origins of knighthood, in the days after the collapse of the Western Roman Empire. 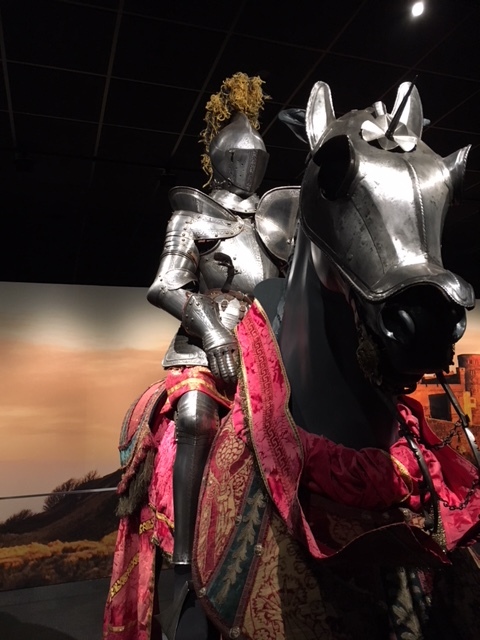 Chivalry, feudalism and knighting will be introduced alongside a wide array of weapons and armor dating back to the 14th century showing how knighthood and armor evolved through the ages. 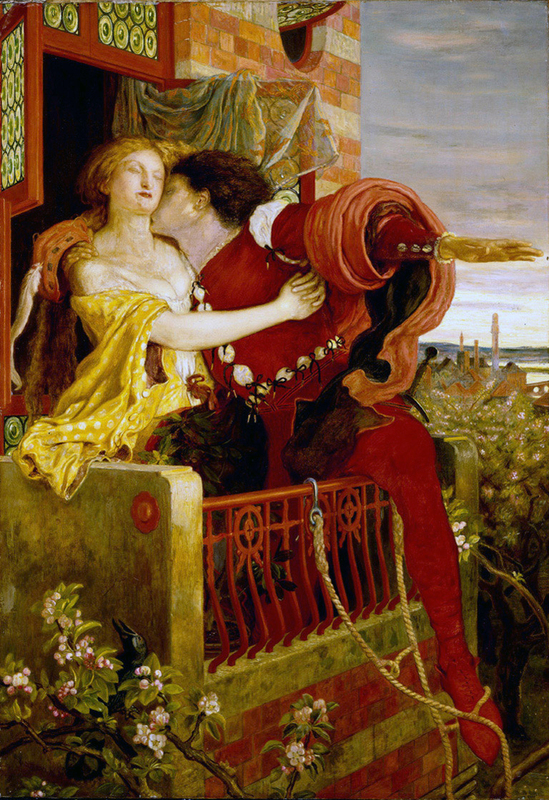 Romeo and Juliet, by Ford Maddox Brown. Between 1869 and 1870. Source: Wikimedia Commons. One of the world’s leading authorities on animal behavior, Michael J. Ryan will tell the astonishing story of how the female brain drives the evolution of beauty in animals and humans. Ryan will explain how he and other scientists have taken up where Darwin left off when he argued that animals have “a taste for the beautiful” that drives their potential mates to evolve features that make them more sexually attractive and reproductively successful. This new research has transformed the understanding of sexual selection, shedding new light on human behavior in the process. You may change how you think about beauty and attraction. Next Post Happy National Spanish Paella Day!